WITH Alaska up by 20 points and headed into the finals of the Smart Bro-PBA Philippine Cup, Ping Exciminiano picked Jay Washington’s pocket from the backcourt and coasted on a breakaway layup. 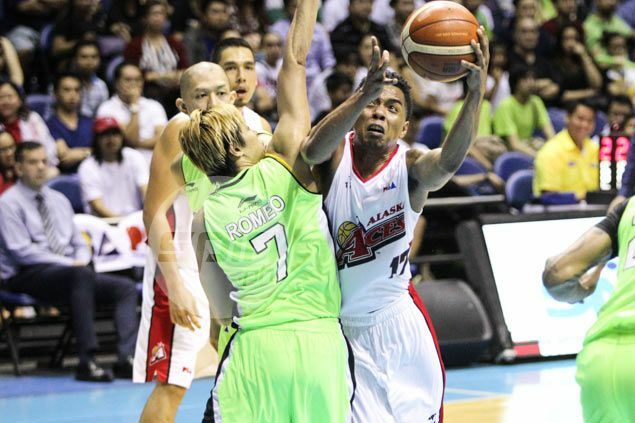 The sequence said it all for the energetic playmaker, who showed no signs of letup for Alaska in the team’s 118-89 blowout of GlobalPort in Game Five of their semifinal series Tuesday night at the Smart Araneta Coliseum. Exciminiano typified the Aces’ brilliance on both ends of the floor as his pesky defense sparked Alaska’s fast-break points and instigated the lopsided outcome. He finished with a career-high 19 points on 8-of-11 shooting, on top of five boards, three steals, and one assist in 23 minutes. Excimiano proved to be the x-factor in the Aces’ victories in the series. After playing just five minutes in Game One where he only saw action in the second half, the former Far Eastern University standout was thrust into the starting lineup and averaged 19.8 minutes the rest of the way. Exciminiano definitely had a hand in Batang Pier Terrence Romeo getting relatively shackled after firing 41 points in the series opener. His familiarity with his college teammate helped.